I seemed to have acquired more books than intended over the last two months, but hey, that’s what happens when you’re a book lover, right? Well, here’s my haul from both January and February! “Rebel Spring” by Morgan Rhodes. This is the sequel to “Falling Kingdoms” and I figured I’d just get it so I have it to read when I’m ready. “The Selection” and “The Elite” by Kiera Cass. I don’t think I ever hauled the first book, so here are the first and second books of this series. It’s about a girl named America who is chosen to take part in the Selection where 32 girls try to win the heart of the prince, Maxon, but only one can win. It’s a YA romance type of novel series. I’ve already read and reviewed the first, so I’ll be moving onto the second soon. “Scarlet” and “Cress” by Marissa Meyer are the second and third books in the Lunar Chronicles series. They follow different characters than the first (Cinder), but they are still fairy tale retellings (one of Little Red Riding Hood and of Rapunzel). I’m very interested to see how the stories unfold in the next books. “Unravel Me” and “Ignite Me” by Tahereh Mafi. These are books two and three in the Shatter Me trilogy. 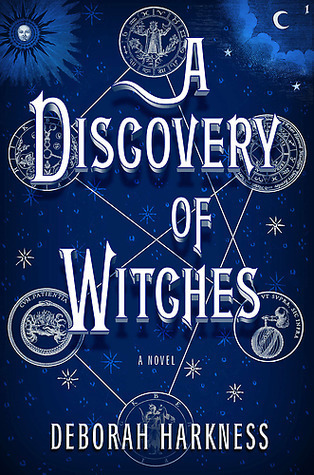 I read and reviewed the first book last month, and so I want to continue on with the series because I felt that I wasn’t satisfied enough in the first book and I hear it gets better as it goes. “Alienated” by Melissa Landers. This is an alien book (if you couldn’t guess) that follows a human girl, Cara, and how her family was picked to share their house with an “exchange student” – an alien boy named Aelyx. Things start getting dangerous, though, when threatening notes appear in Cara’s locker and police escorts have to be used for her and Aelyx. I started reading this book to get a general idea of what it’s about and I love the voice of Cara: very snarky and funny. Can’t wait to read this. “Steelheart” by Brandon Sanderson. This is the first in a new series(?) by Sanderson that tells the story about a boy, David, who’s father was killed and how everything was essentially taken away from him. He has to defeat Steelheart and needs help from the Reckoners, a group of rebels trying to keep justice. And the Reckoners might just need David’s help, too. It sounds thrilling and action packed, so I’m excited to read this (and hopefully my husband will read it, too). “Red Queen” by Victoria Aveyard. This was one of my most anticipated reads of the year and I got my hands on it. There has been so much hype surrounding this book, I hope I enjoy it. It’s about a girl named Mare who lives in a world where you are divided by blood – literally. If you have silver blood you’re an elite, essentially, and if you have red blood you’re a common peasant like everyone else. And silvers have powers. And Mare, a red blood, isn’t supposed to have powers… DUN DUN DUNNNNN. Anyway, I’m excited to read this. I think it’ll be the first book I read in March. 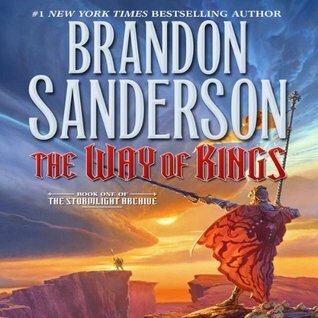 The Mistborn Trilogy by Brandon Sanderson – UK edition – which consist of “The Final Empire,” “The Well of Ascension,” and “The Hero of Ages.” (It’s actually a seven part series, but it’s originally a trilogy?) I love the covers of these books so much more than the American covers, and so I had to get it. It’s an adult fantasy trilogy that follows a “troublemaker and his young apprentice,” and they’re trying to save their world through the use of Allomancy, a magic of metals. It sounds intriguing and there’s a big hype surrounding it right now, so I’m excited to read it. I’m pretty sure that’s all of the books I’ve gotten in the last two months… 13 books, woo! I could be missing something, I’m not sure. I’m just excited to read them all eventually. Have you read any of these books? What do you recommend I read sooner rather than later? What did you think of what you read? Are you going to read any of these soon? Let me know! This entry was posted in Fun, Haul and tagged adult, aliens, book, brandon sanderson, fantasy, february, haul, january, kiera cass, marissa meyer, melissa landers, morgan rhodes, read, reading, royalty, sci fi, tahereh mafi, victoria aveyard, ya, young adult. Bookmark the permalink.